Our mission is to offer back-to-basics, traditional education by providing a challenging, sequential, teacher-directed, standards-based, textbook-driven curriculum supported by individual accountability and high academic and behavioral standards. In 1995, concerned about the public school system, the founders of Reid Traditional Schools worked to create a challenging, respectful learning environment for their own children and established Valley Academy, one of the first charter schools in Arizona for K-8 students. Since our founding, thousands of children have benefited from the hard work and focused vision of these parents. We invite your family to participate in the vision with your students at Painted Rock Academy or Valley Academy. On September 30, 2014, the U.S. Secretary of Education, Arne Duncan, awarded the 2014 National Blue Ribbon School award to Reid Traditional Schools’ Valley Academy. Only four Arizona schools received the award this year, and Reid Traditional Schools’ Valley Academy was the only charter school to do so. The award recognizes RTS Valley Academy as an exemplary high performing school. 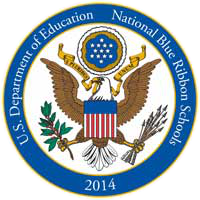 View the 2014 National Blue Ribbon School Profile. 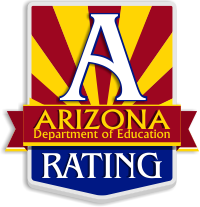 Over the past two decades, Valley Academy has consistently received the highest possible ratings from the Arizona Department of Education, including “Excelling” and letter grade “A.” These are the best ratings that can be bestowed upon a school by the state.